All Service Glass is well equipped to handle any challenge that comes their way. By working one on one with owners, contractors and property management companies, All Service Glass brings their knowledge and experience to the project helping with a cost-effective solution to your tenant improvements. The All Service Glass estimators have over 15 years of experience working with a variety of contractors, property managers, owners and commercial glazing products. Whether you are having new windows and doors installed, or are replacing existing windows or doors, All Service Glass is a quick call away. We’ll send one of our experts out for a visit on-site to evaluate the existing structure and offer possible solutions including cost-saving alternatives. It’s that simple. 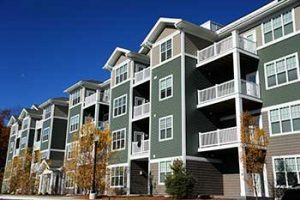 Our specialized technicians offer a myriad of services that provide definitive tenant improvements for all types of commercial properties. No new or existing business building is too large for us to tackle. We will assist you by incorporating the best glass and encasement designs featuring contemporary styles to keep your commercial property leased. Contact All Service Glass for all of your Gresham OR, and Portland OR glass installation, repair, and replacement needs to improve your investment property today!